Got my obligatory pun out of the way early. You’re welcome. It’s finally starting to feel like fall on the east coast, and I couldn’t be happier about it. 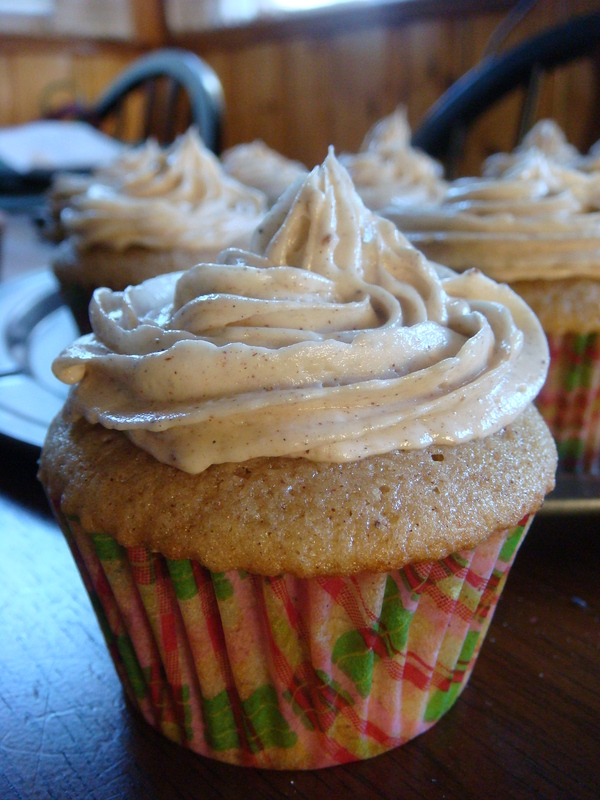 In order to celebrate the onset of cold-weather months before it actually feels cold, I give you vanilla chai cupcakes, courtesy of The Novice Chef. Nothing I’ve made thus far has made the house smell more incredible than these babies, and eating one was just like drinking cup of my favorite hot tea beverage — except, ya know, in solid form. Believe me: I considered the dollar store, but after my last experience with their products, I reconsidered. The good news is that if you invest in quality spices, your flavors will be intensified, thus justifying the purchase. (Check out this Spices101 post by TheFoodInMyBeard for a more sound explanation than I could give you.) Plus, having an abundance of cardamom means I’m going to get myself into all sorts of chai experiments, so that should be…fun. Mix spices together in a bowl. In a separate bowl, cream together butter and sugar. Add the vanilla and beat in one egg at a time. Stir in half the quantity of chai spice mix. Fold in the flour and buttermilk alternately. Stir until well combined. In another bowl, mix together vinegar and baking soda. Add that to batter. Spoon batter into cups, about 3/4 full. 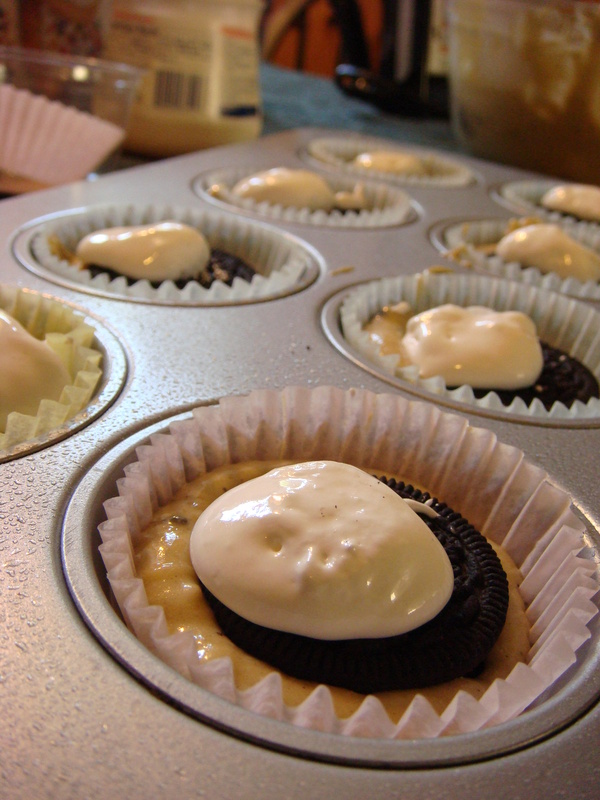 Bake at 325 degrees for 15-20 minutes, or until toothpick inserted into middle of cupcake comes out clean. Wait until completely cooled to frost. In a stand mixer, beat butter until creamy. Mix in vanilla and rest of chai spice mix. Carefully beat in powdered sugar 1/2 cup at a time until desired consistency. If icing is too thick, add cold mix until it’s to your liking. Total time? 45-ish minutes (including frosting-making). Cost? More expensive than most, considering spices runs between $6-12. Apple cider vinegar ($2) isn’t the most common cabinet dweller, but I was fortunate enough to have some. The rest is pretty standard. Overall success relative to expectations? 9 out of 10. I made these as part of National Cupcake Week 2010, and they were a hit amongst friends, family and co-workers (as they should have been; I took a vote to determine which variety of cupcakes to make, and these won out big time.) The flavor and aroma were amazing, and this time around, I used a professional piping tool and cutesy liners (at left), so the presentation was improved. 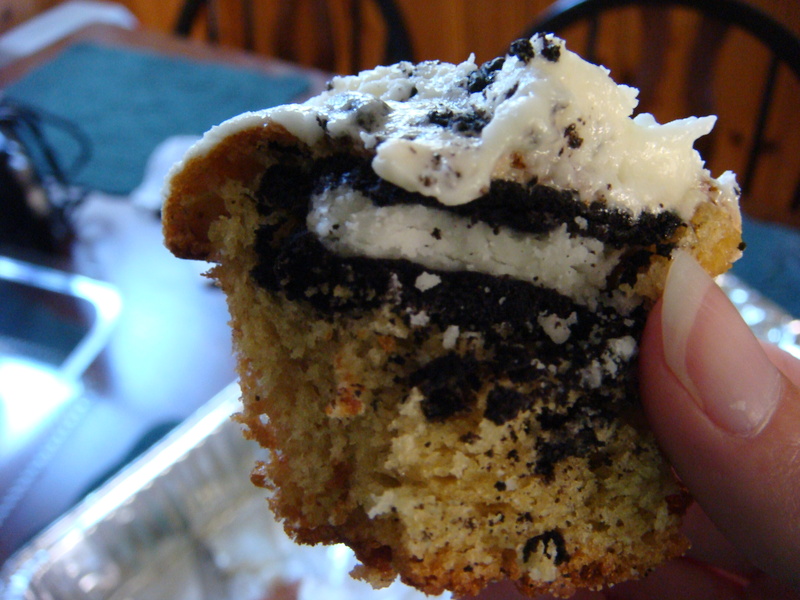 Though the frosting was the star here, I deducted a point because the cake consistency bordered more on muffin. Definitely recommend giving them a chai, though! (Sorry, couldn’t resist [tea-hehe].) Yes, I’m ashamed; eyerolls encouraged. Posted on October 9, 2010 November 30, 2010 Categories desserts5 Comments on chai me!